I like to think that when it comes to products I am fairly relaxed. I don’t need to have the best of the best, I just want something that is practical and actually works. One area that I won’t scrimp though is in car seats. Research shows that keeping a child rear facing is safer in the event of a collision, and so I have always strongly believed in keeping Piglet in an extended rear facing seat as much as possible. 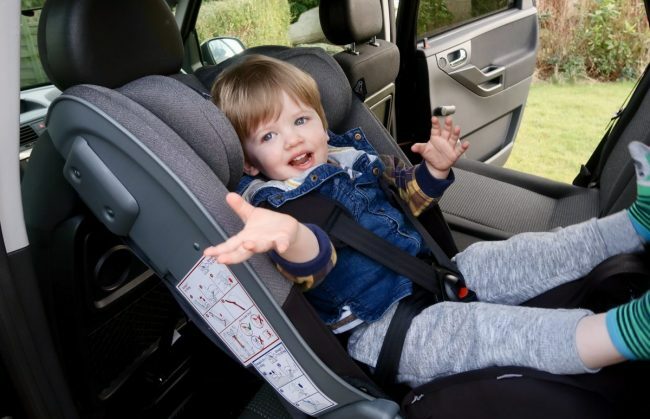 Despite evidence showing that rear facing is safest, it is actually quite hard to find car seats that do it beyond 4 years. 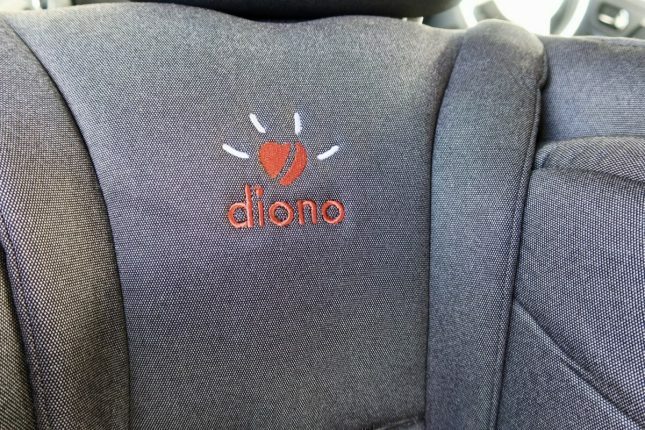 Diono has the Radian 5 car seat which is Group 0, 0+, 1 and 2. A few months ago they sent me to seat to try out with Piglet, to see how easy extended rear facing can be. The seat was delivered in one box, as you would expect, and I was struck with how heavy it is. Upon opening the box I was greeted with an array of items, and it was clear I was going to have to read the instructions in order to get it set up. This is because there are so many different ways to use the seat. There is a newborn insert, for if you want to use the seat from birth. Different straps, rear facing base, angle adjuster and a cup holder were also present. 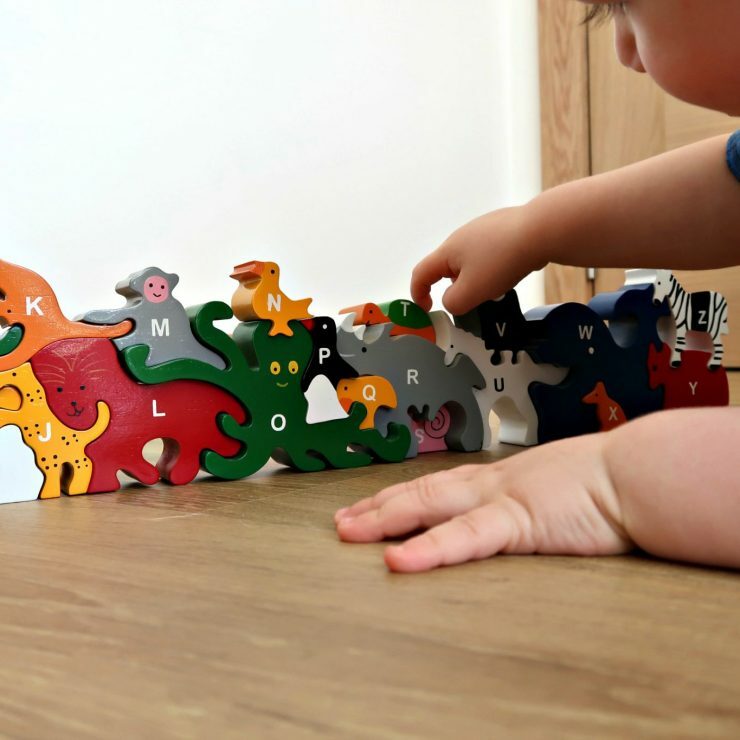 As Piglet is 2, I was able to take the newborn items and put them aside for a later date. A quick look at the instructions showed me how to attach the rear facing base and adjust the straps to the right height for Piglet. Next up I had to install the car seat in to the car. I read the instructions first, and I have to be honest and say I had no clue what to do. It was not at all clear, so I did what I do best and took to YouTube for a how-to! Luckily Diono have instructional videos on there so I watched it twice to make sure I knew what to do. Due to the weight of the seat I summoned JHogg to help me, as I didn’t want to do the lifting while pregnant. I’ll admit there were a number of expletives during the installation process, we had particular difficulty getting the seat in the right position. When in a rear facing position the seat is very reclined. That means that our front seat has to be pushed forward to the furthest position. For us, this is the main negative for the car seat, as it is no longer possible for my husband to sit in the front passenger seat of my car. It also makes it not possible to have the seat behind the driver. At the moment that is not a huge issue, but with another baby on the way we will require one child to sit behind the driver and I’m not sure that will be possible. It did take us a while to install the seat into the car, and it’s not one that I would want to take in and out repeatedly. However, it feels really secure now it is in and there is no movement in the seat at all. Getting Piglet in to the seat is fairly simple. 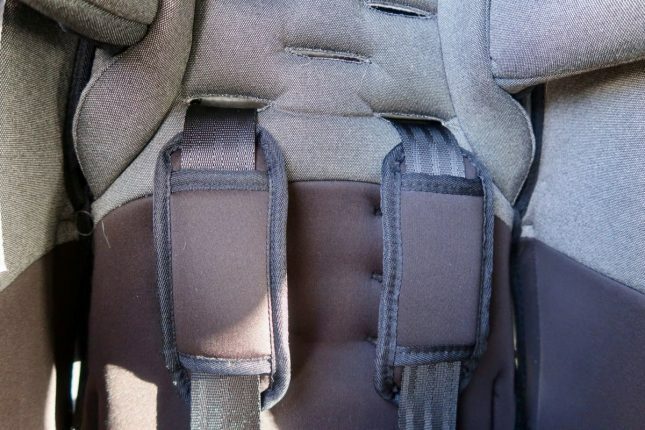 It is a standard 5 point harness, with a strap at the bottom to adjust the tightness. This is one aspect of the seat I am still struggling with, as I find it difficult to get the straps as tight as I would like while Piglet is in the seat. 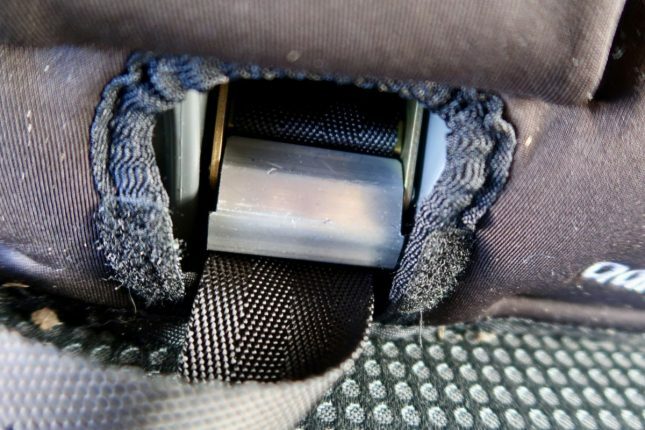 It is very simple to loosen the straps by lifting a trigger and giving them a slight tug. 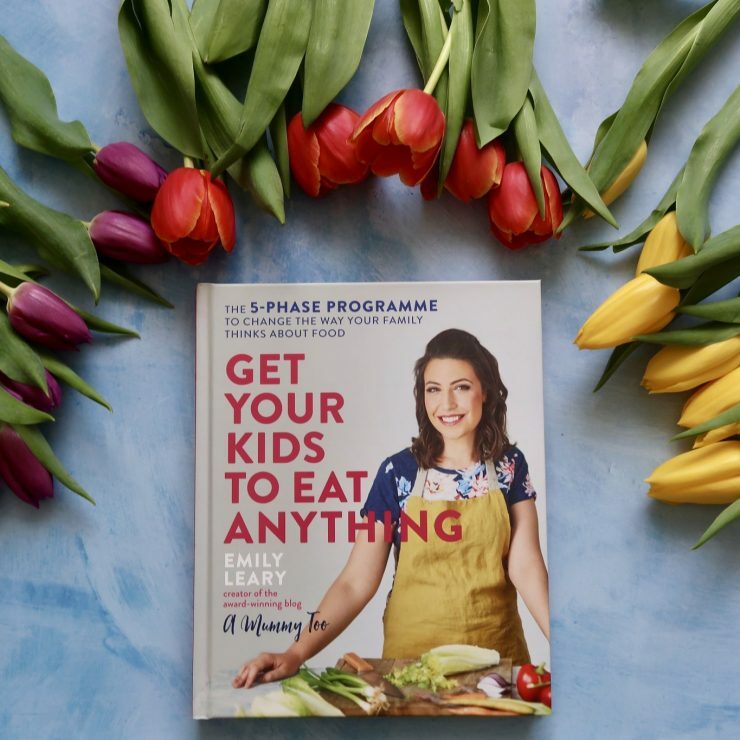 I am aware that I have mentioned a few negative points in this review – and I feel that they are important to highlight otherwise I wouldn’t be being fully honest. However, they are all things that I am able to live with and I’m sure will get used to over time, as overall I think the benefits of extended rear facing outweigh the negatives of this particular seat. 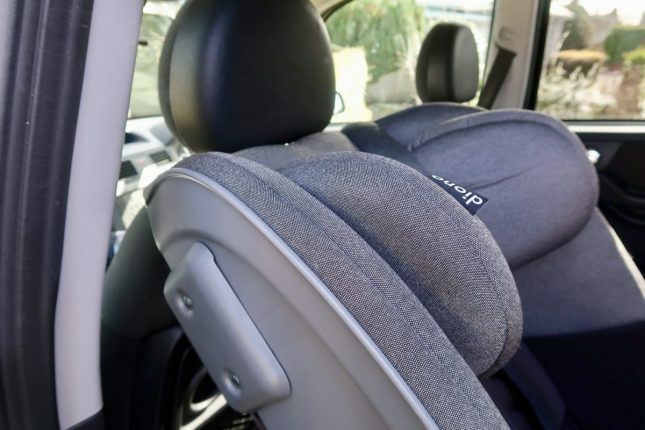 It is suitable for extended rear facing up to 25kg – that is around 7 years old. The other ERF seats I’ve seen are only up to around 4 years old so in that sense the Radian 5 is really quite unique. The seat has a full steel frame. This is the main reason for it being so heavy, but is also what makes it so strong and safe in the case of an impact. It folds up for transport, and you can purchase a separate travel bag if you find that you need to transport it regularly. Although it reclines quite far, it is not overly wide. This means it is possible to have a passenger in the middle seat of the car next to it, which I have not been able to do with my previous car seat. There are lots of colour options available. This might seem really petty and superficial, but if you are going to have something for 7 years you want to make sure you like the look of it. Of course, the final opinion you need on the Diono Radian 5 is Piglet’s. There is no point in me loving a car seat if he is going to be unhappy and kick up a fuss whenever he has to go in to it. He has not expressed any distaste for it – so I take that as a good sign. He is happy enough to be strapped in and seems comfortable. He has even been very patient while I get accustomed with how to tighten the straps to keep him safe. He is 2, so rest assured if he didn’t like sitting in the seat then he would definitely have let us know! 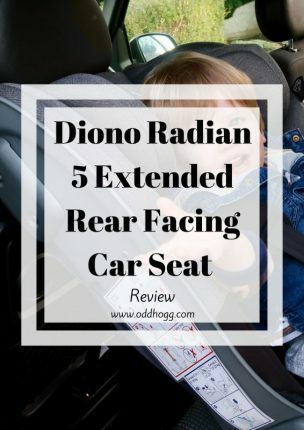 I was sent a Diono Radian 5 car seat for the purposes of writing a review. As always, all words and opinions are my own. Thanks for sharing an honest review of this car seat. Children’s safety is paramount when choosing when so it is good to here positives and negatives. I always think honesty is the best policy. It’s not a perfect seat, but it IS a safe seat!